Dethroned! 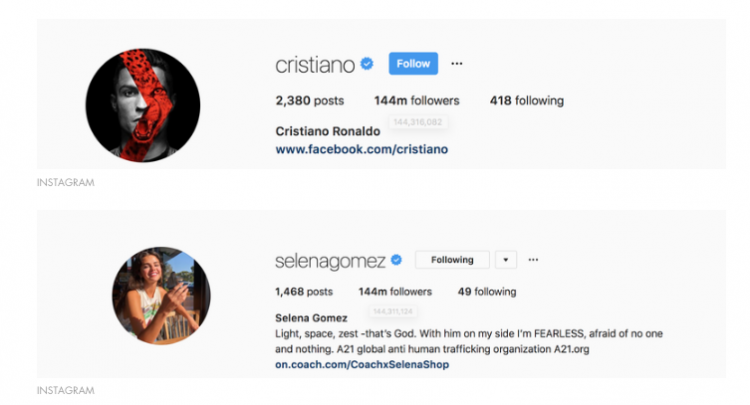 Selena Gomez Toppled As Instagram’s Most Followed! But Who’s The New Number One? Actor/singer/model/designer/social media doyenne, Selena Gomez, is undoubtedly many things and right up until yesterday she was probably most famous for having the most Instagram followers of anyone on the planet. But, as they say, all good things must come to an end and yesterday the 26-year-old had to relinquish her title as the platform’s most popular human after a two-and-a-half year reign at the top. And who is the new number one? Taylor Swift? Meghan Markle? Kanye? Heaven forbid, Donald Trump, even? No, in fact, it’s none other than footballing demi-god and occasional underpants model, Cristiano Ronaldo. To be fair to Ronaldo, he had been breathing down Gomez’s neck for the number one spot for some time. And, yesterday, he indeed snatched the crown with an impressive 144,316,082 followers to Gomez’s 144,311,124. To be fair to young Selena, she did announce recently that she was taking a break from social media, hence why she’s probably been overtaken. And apparently, it’s not about the cash either. Gomez reportedly takes home $US550,000 for each and every one of her Instagram posts. Still, that’s not as much as Instagram’s highest-paid star, Kylie Jenner, who now commands an eye-watering $US1 million for every sponsored post. 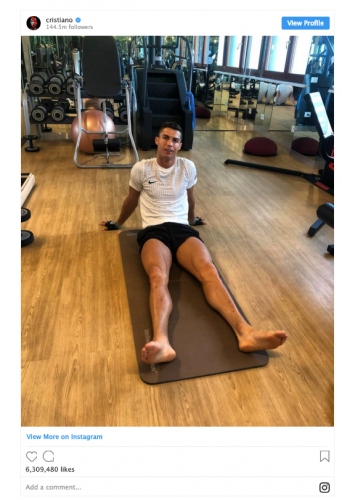 For his part, Ronaldo – reported to be worth $US450 million, anyway – asks a mere $US450,000 for a product plug; however, that may be about to change given his newfound number one status.